2016 Maria,Bloch-Trojnar, Aleksander Bednarski, Robert Looby, Mark O Fionnain, New Trails and Beaten Paths in Celtic Studies. Wydawnictwo KUL, Lublin. 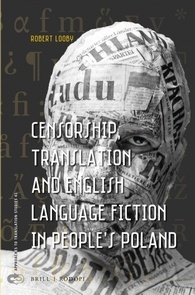 2015 Robert Looby, Censorship, Translation and English Language Fiction in People's Poland. Brill Rodopi, Leiden and Boston. 2015 Aleksander Bednarski, Paweł Tomasz Czerniak, Maciej Czerniakowski (eds.) 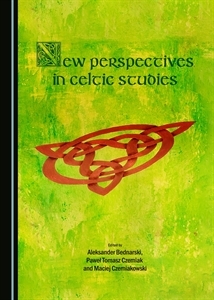 New Perspectives in Celtic Studies, Cambridge Scholars Publishing, Newcastle upon Tyne. 2009 Aleksander Bednarski, Konstruowanie przestrzeni. Walia w twórczości Nialla Griffithsa, Wydawnictwo KUL, Lublin. 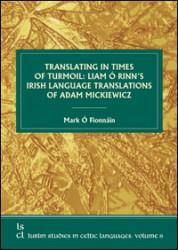 2008 Anna Bloch-Rozmej, Melody in Government Phonology, Lublin: Wydawnictwo KUL. 2005 Aidan Doyle and Edmund Gussmann, An Ghaeilge. Podręcznik do nauki języka irlandzkiego. Lublin: Wydawnictwo KUL. 2001 Aidan Doyle, Irish. Lincom Europa, Muenchen. 1998 Anna Bloch-Rozmej, Element Interactions in Phonology. A Study of Connemara Irish. Lublin: Redakcja Wydawnictw KUL. 1997 Eugeniusz Cyran, Resonance Elements in Phonology. A Study in Munster Irish. Lublin: Folium. 1996 Aidan Doyle and Edmund Gussmann, A Reverse Dictionary of Modern Irish. 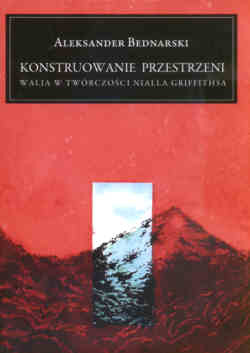 (First edition) Folium, Lublin. 1992 Aidan Doyle, Noun Derivation in Modern Irish. Selected Categories, Rules and Suffixes. Redakcja Wydawnictw KUL, Lublin.